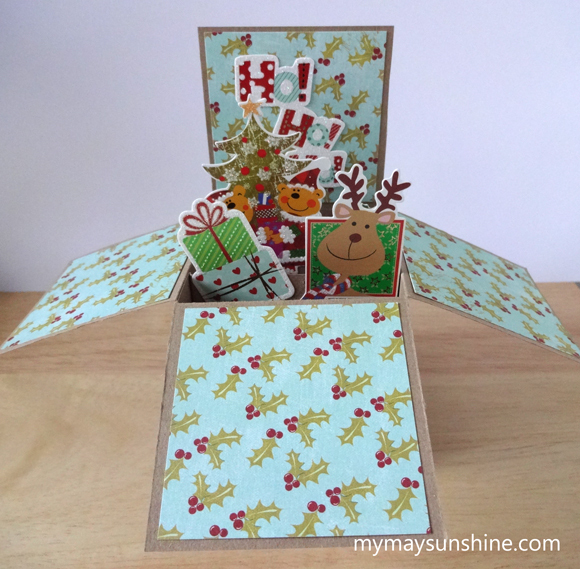 I got a bit stuck with the inspiration for this year Christmas cards until I came across an idea of a card in a box. 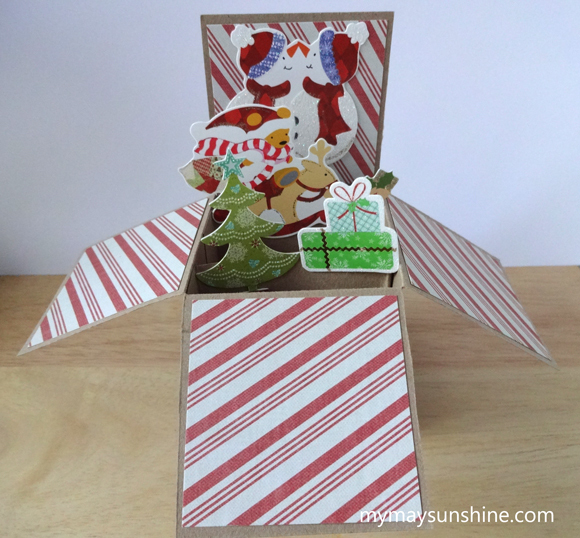 These cards are designed to be flat enough to fit in an envelope but when opened they stand as a box. 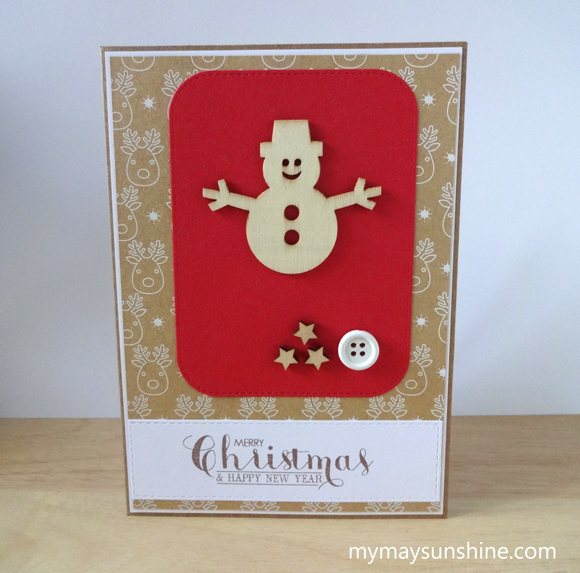 I made these cards with different embellishments from Hobbycraft and used some Christmas patterned paper on the sides. 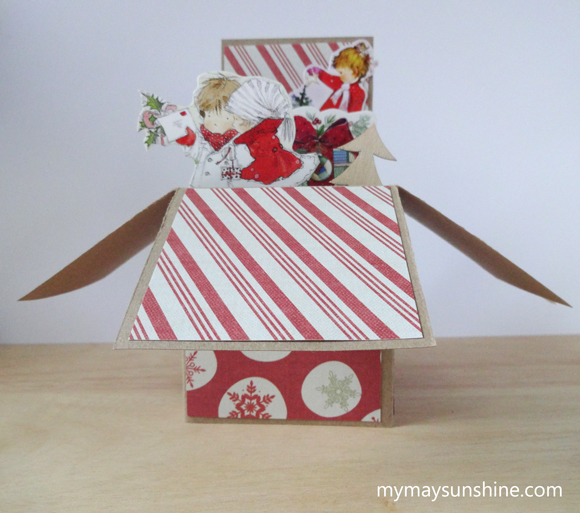 I added some embellishments to the sides of one of the boxes but felt the others looked better plain. 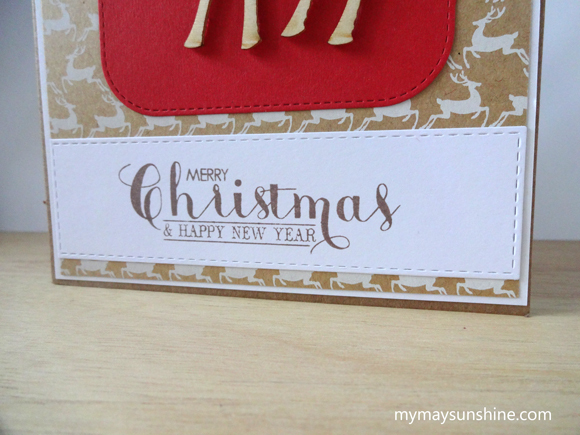 On the back I added a plain white piece of card so that I could write a message to the recipient. 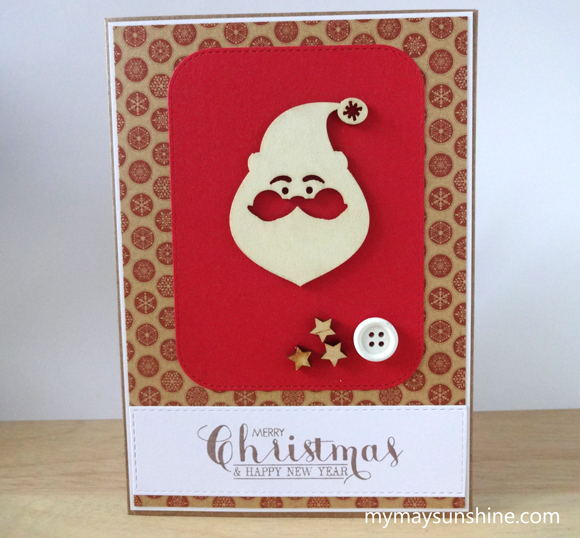 I didn’t make very many of these cards and decided to make some standard Christmas cards as well. 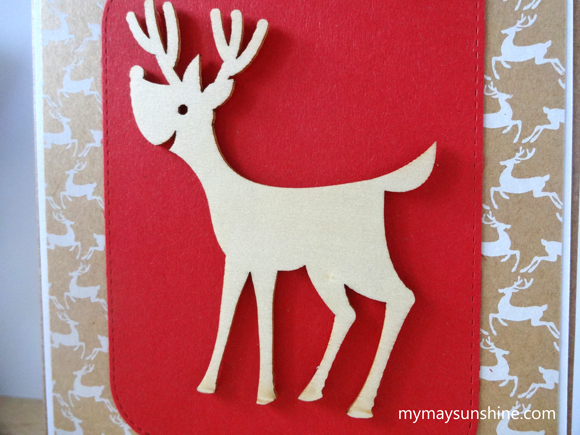 For the second set of Christmas cards, I used some wooden Christmas embellishments that I found in Homesense. 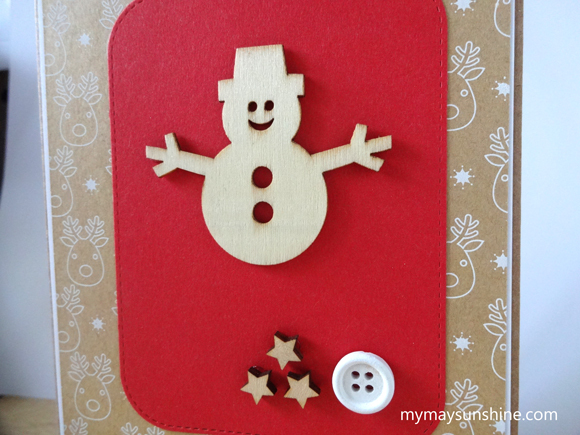 Some of these embellishments were quite large and worked well on their own on the front of the cards while others were smaller so I added some wooden stars and a button to fill the space. 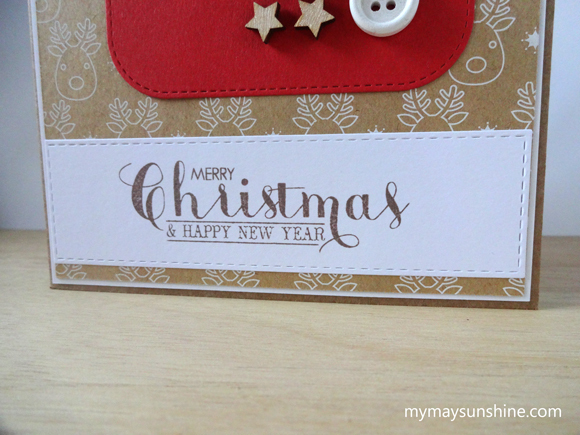 I layered up some white card and some Christmas patterned paper for the background of the card and added a red stitched rounded rectangle on top for the embellishments to go on. 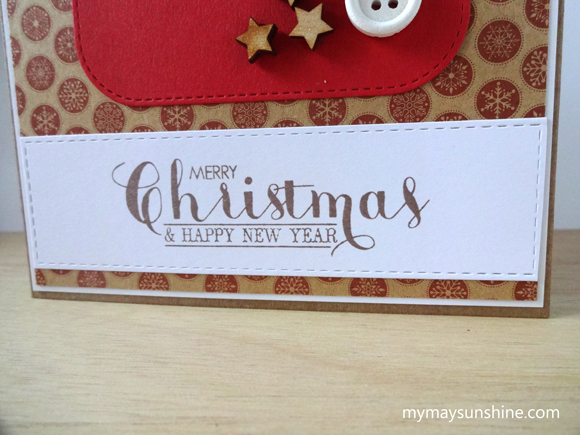 The sentiment is from Clearly Besotted Most Wonderful stamp set and is stamped on a white stitched rectangle. 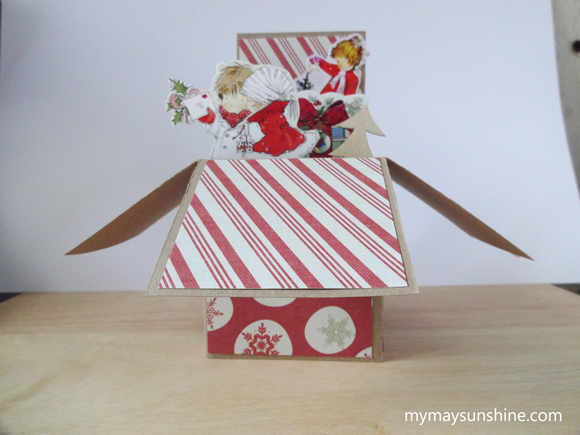 I really love the red against the kraft patterned paper. 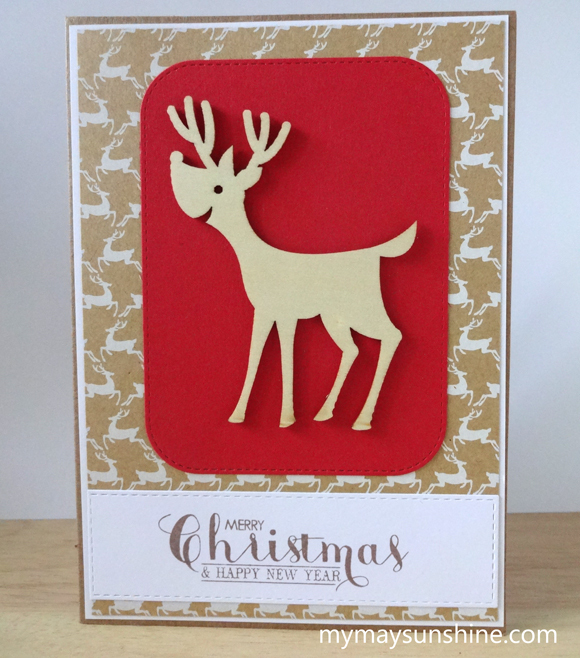 I really enjoyed making the Christmas cards this year and as I did it like a little assembly line, with making one part of all the cards at a time, it was quite quick to complete. 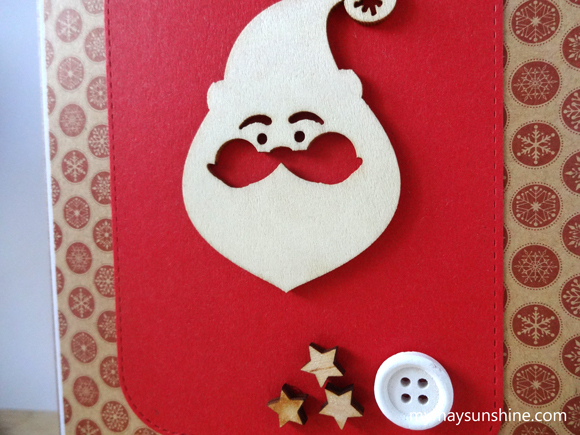 Hope you have a lovely Christmas and I will see you soon. 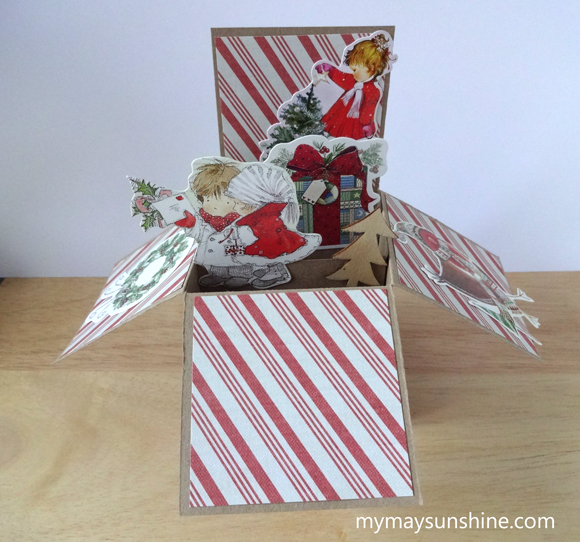 Polka Dot & Butterfly Anniversary Card. Next Post The girls in 2015!